In this video I show you a quick and easy way to make genuine front jeans pockets if your pattern lacks these. I used this method for the latest Burdastyle Anita jeans since the original Burda pattern calls for traditional trousers pockets which I don’t fancy when making jeans. Because unfortunately jeans sewing patterns doesn’t always include the sort of front pockets that traditional store bought jeans have. You can also find photo instructions for how to make a front pockets (and a lot more!) in my original jeans tutorial series. 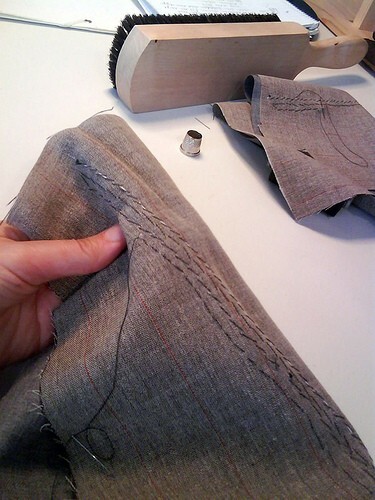 Nice method for sewing jean pockets! I'm excited for your trip to Sicily!! Me too! Just need to sew like crazy this weekend, am drafting a new romper pattern as I write this because the Burdastyle didn't work out and my daughter keeps adding new stuff. She is particular just like her mum!